Sinatra Forever: A Salute to Frank Sinatra is a concert that pays homage to the greatest singer of all time. This is not an impersonation show but an interpretation performed by Rick Michel. 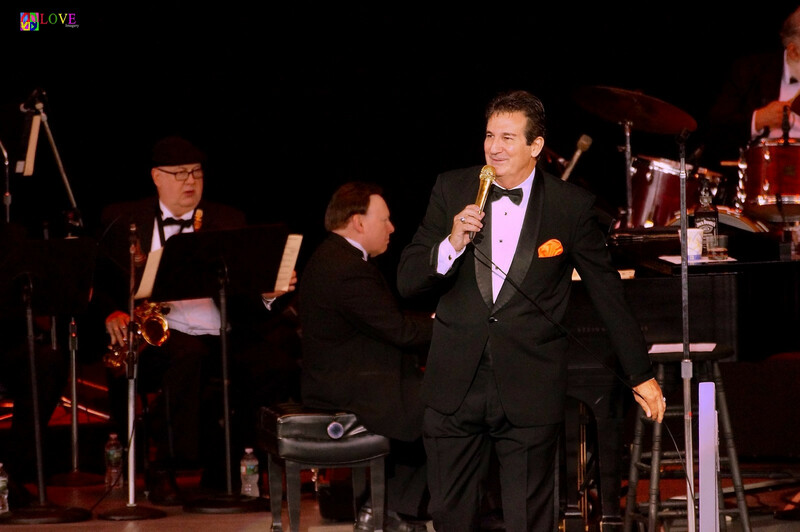 Since he was a teenager, Rick has been singing Sinatra's music and has performed with big bands since the early 1980's. "I think Frank Sinatra was the most articulate of all the pop and standard singers," said Michel. "He made songs his own by uniquely phrasing the words to wrap around the melody line like no one else before him or since." The audiences recognize many of the song selections in the show. "I have tried to touch upon all aspects of Mr. Sinatra's life by choosing the variety of music that best represents his career" Michel explains. 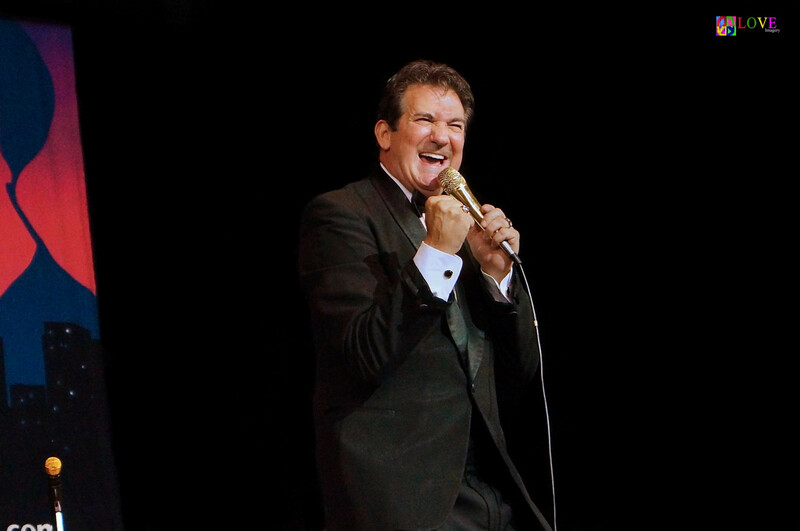 "There is so much material to choose from that I can continue adding new Sinatra songs to my show for years to come and never get to them all." 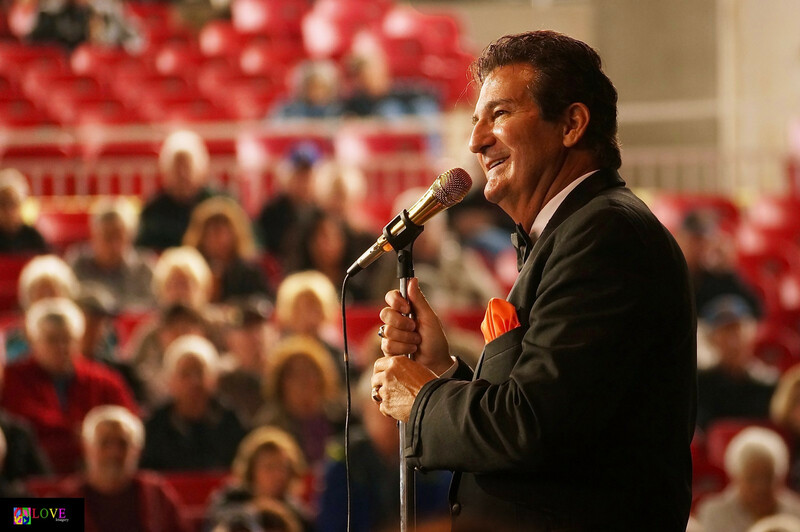 Rick Michel's latest project is to sing songs that Frank Sinatra might have sung or that would have been interesting to hear him sing, such as: Roger Miller's "King of the Road", Louis Armstrong's "What a Wonderful World" and "The Curtain Falls" by Bobby Darin, just to name a few. 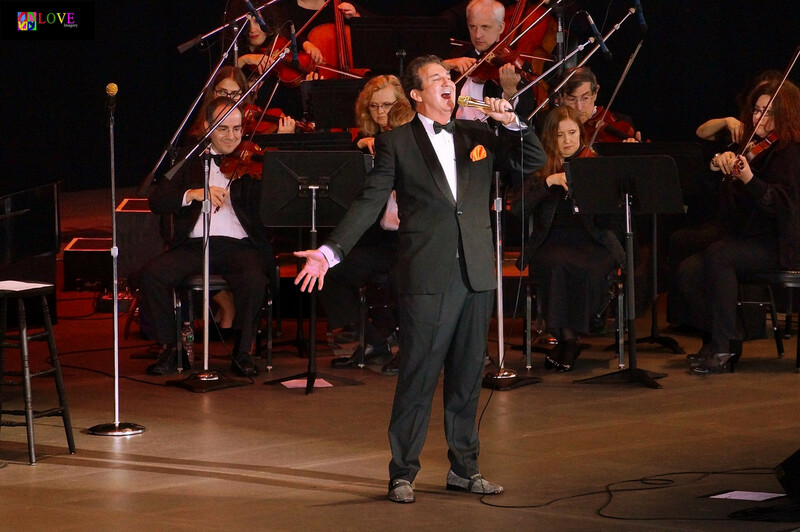 "I am not trying to impersonate Frank Sinatra, just pay homage to the man's music, and share the stage with the original members of his band"
Sinatra Forever is a timeless concert and part of the American Songbook with all the original arrangements and musicians that backed up Frank Sinatra. Sinatra Forever will be performing at the Roswell Cultural Arts Center in Roswell GA Saturday November 16th. 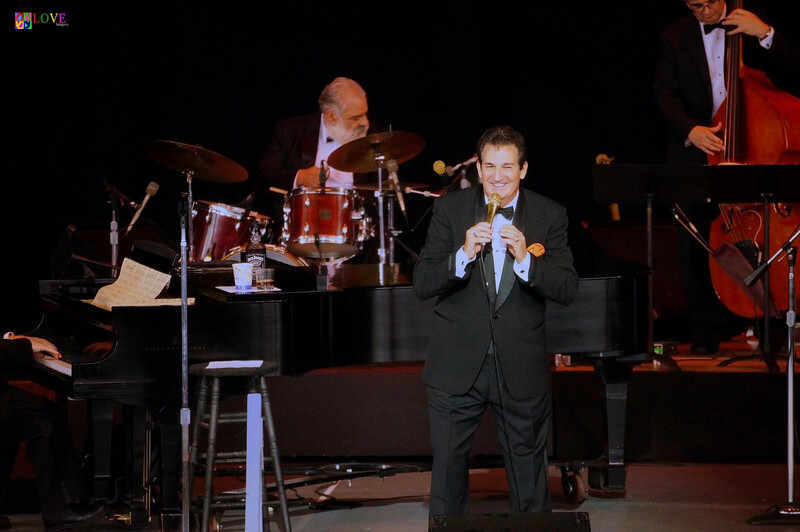 Rick Michel's "Sinatra Forever" LIVE! Your performance was so impressive that the Garden State Arts Foundation would love to have you return next season. 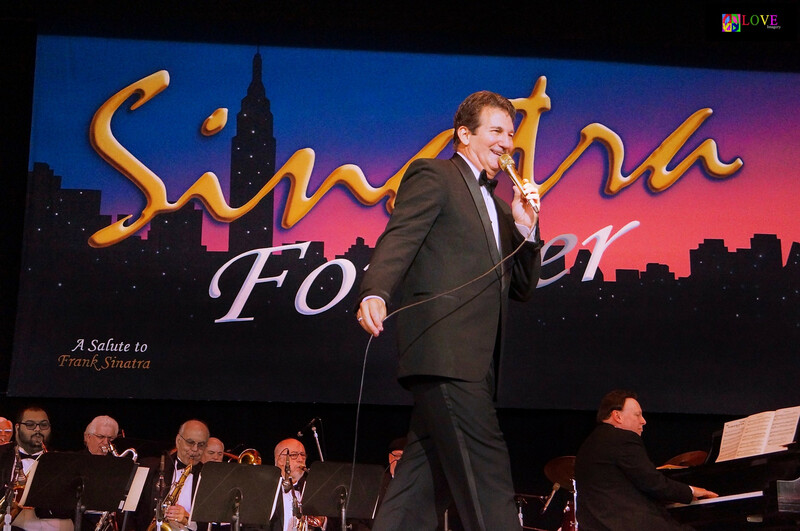 Your show, "Sinatra Forever" with the 24 - Piece New Jersey Symphonic Orchestra was a hit! Your presentation was a wonderful addition to our 2018 line-up of free shows at the PNC Bank Arts Center in Holmdel, NJ. Despite the dreary, rainy weather your show managed to generate over 4,000 patrons. Your fantastic stage presence had the audience enjoying every song and applauding. And if we closed our eyes it was Sinatra himself on stage. We received a record number of calls the next day with rave reviews. As a matter of fact your performance was so impressive that the Garden State Arts Foundation would love to have you return next season. 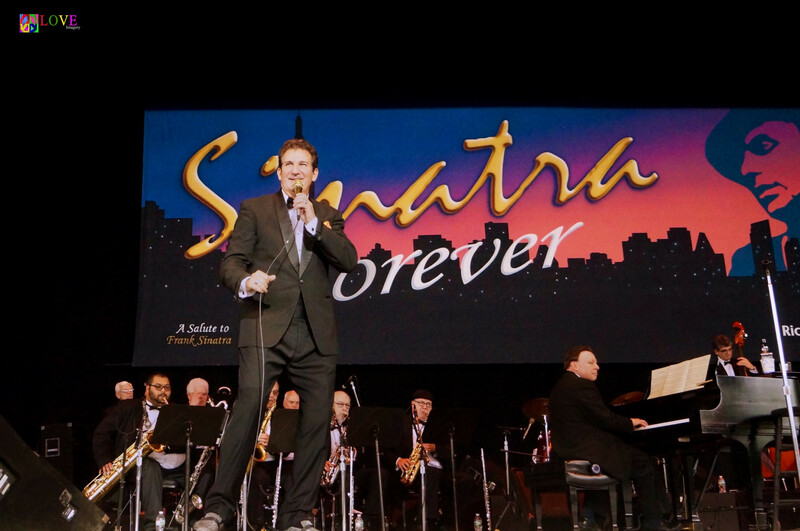 Again let me say that "Sinatra Forever" was entertaining and a real crowd pleaser in addition to being extremely professional and we are very proud to have you perform at our venue. It's a hot and dry July 2, 1989 evening where "Old Blue Eyes" himself-Frank Sinatra -is performing at the Garden State Arts Center amphitheater in Holmdel, NJ. At 73, The Chairman of the Board is in good voice. Even more importantly, however, he makes everyone in attendance feel like a million bucks for being here by charming them with his stories, his personality, and his gravitas-after all, this is The Sultan of Swoon...The Voice.... the one and only FRANK SINATRA! 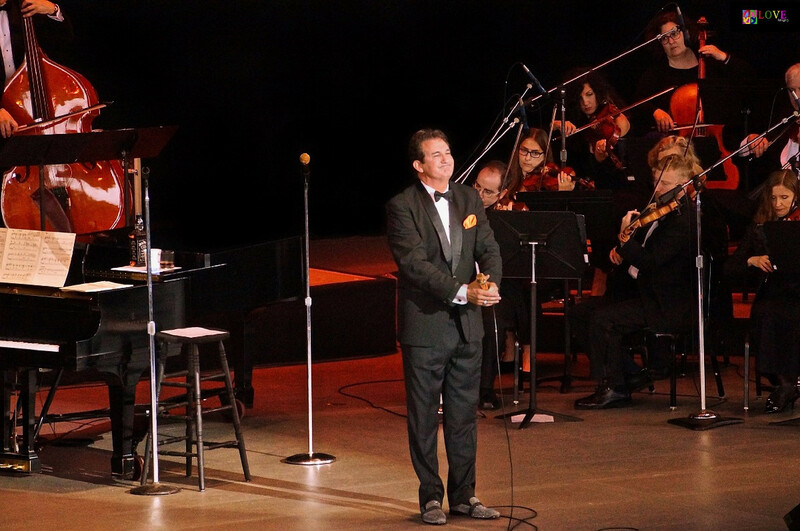 Crooning such classics as "Come Fly with Me," "The Best is Yet to Come," and "Strangers in the Night," Sinatra wins the hearts of the capacity crowd, leaving an indelible mark on everyone in attendance that night! Fast forward to a cool, drizzly Thursday, May 17, 2018 afternoon at the same location in Holmdel, NJ-now called the PNC Bank Arts Center. 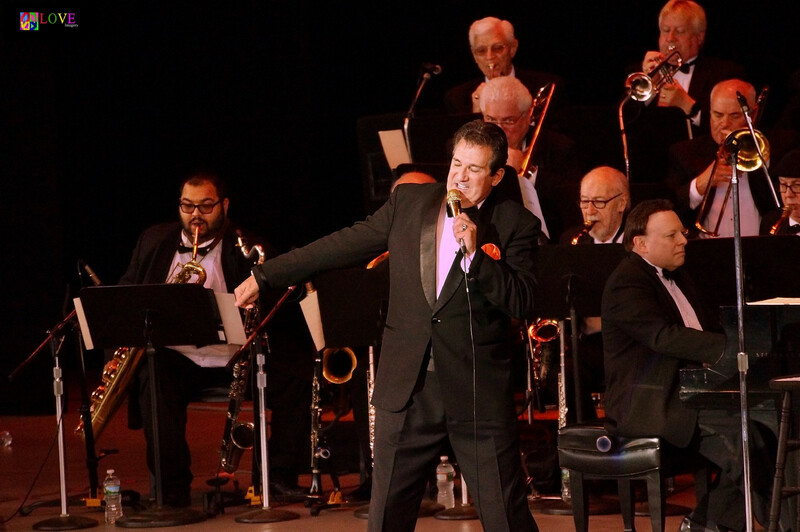 As audience members wait for Rick Michel's Sinatra Forever show to begin, musicians in his 24-piece orchestra take their places on stage and tune up. 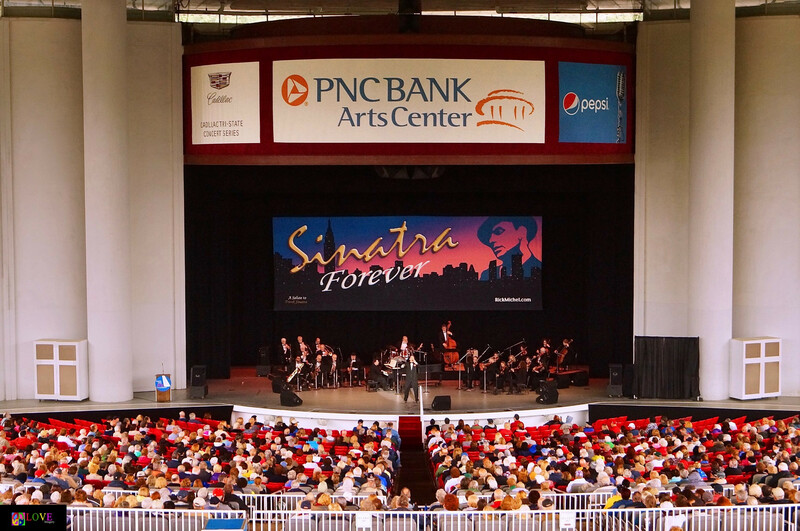 Sinatra Forever is the first in the 2018 season's series afternoon concerts for New Jersey residents aged 55 and over. All shows are presented by the Garden State Arts Foundation under the direction of VP Ron Gravino, who is ably assisted by Cookie Santiago. This afternoon, Santiago welcomes the audience to the amphitheater and thanks them for coming despite the drizzle. She also thanks everyone in attendance for their generous donations explaining that all concerts presented by the Garden State Arts Foundation are funded by individual donors in addition to such corporate sponsors as Live Nation, PNC Bank, and SiriusXM Radio's 60's on 6 featuring Cousin Brucie. 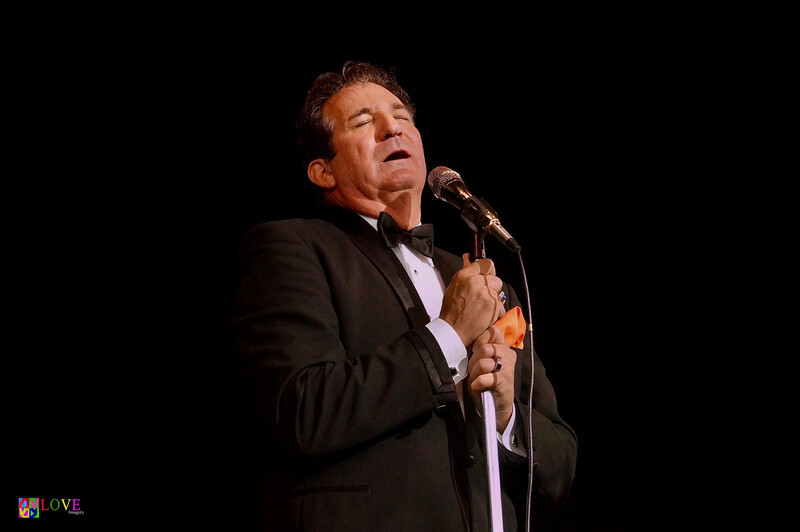 Following the playing of "The Star-Spangled Banner," the spotlights shine as today's headliner, Rick Michel, takes the stage and opens his Sinatra tribute with well-known Sinatra staple, "The Lady is a Tramp." His voice sounding as deep and resonant as Sinatra's, Michel gives a rousing rendition of the tune, changing up the words here and there for the Jersey crowd singing, "She loves the PNC and never arrives late" while his 24-piece band swings behind him. Following brisk audience applause, Michel says, "Thank you very much!" explaining that what he does as a performer is not an "impersonation" of Frank Sinatra, but instead, an "interpretation" of the man's music, declaring, "No one can duplicate Frank Sinatra, but I'm trying to keep the music alive which is why I call my show, Sinatra Forever." Announcing "This is the song that started it all for Frank Sinatra," Michel and the band launch into Nelson Riddle's arrangement of "All or Nothing at All." Stating, "This band is gonna wail at you-hope you got your seat belts on!" Michel conducts the musicians during the instrumental break as audience members tap their toes to the infectious rhythm. Following a Billy May arrangement of "Oh Look at Me Now," Michel asks, "Are you havin' fun so far?" When the crowd replies in the affirmative, Michel exclaims, "So am I!" After a swingin' version of "Without a Song," he announces, "This is a beautiful love song" before singing a lovely rendition of "I've Got a Crush on You," which features an intro of just voice and piano before adding more colors from the orchestra. "What a treat it is to have a string and brass section!" exclaims Michel to hearty applause. Here, he channels Old Blue Eyes himself with his wonderful rendition of "Come Fly with Me," a tune which audience members simply adore. 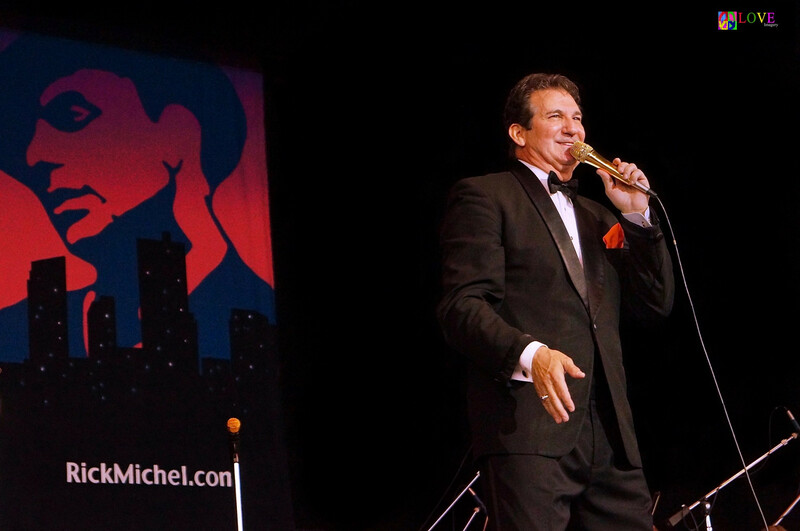 Stating, "My favorite Sinatra movie is Robin and the 7 Hoods," Michel performs a tune from that film, "My Kind of Town," his diction and phrasing clearly impressing the crowd. While Michel and the band swing, even young ushers can be seen dancing in the aisles! After asking, "Are there any Cole Porter fans out there?" Michel and company perform a song about "another city Frank Sinatra sang about"-"I Love Paris"-and they follow that up with a lively arrangement of Stevie Wonder's hit, "For Once in My Life." Introducing a tune from another Sinatra film, The Joker is Wild, Michel and the orchestra perform a Nelson Riddle arrangement of what Michel calls "a romantic song"-"All the Way." Crooning, "When somebody loves you/It's no good unless he loves you/All the way," Michel is accompanied by stand-up bass, brush strokes on the drums, and a brassy interlude. When the audience cheers and applauds, Michel responds, "I appreciate that," before adding, "Now here's a song which is the title of another album Frank Sinatra recorded-That's Life." On this dynamic version of the tune, Michel sings with enthusiasm, the audience clearly enjoying his spot-on alliteration as he sings, "I've been a puppet, a pauper, a pirate, a poet, a pawn and a king." Ending the first act with a bang, during intermission, we take a moment to chat backstage with Mr. Michel who tells us he originally hails from the South Shore of Long Island. When asked how he got interested in singing Frank Sinatra songs, Michel replies, "My mother took a picture of me with a Brownie camera back in September of 1961-I was seven years old and I was doing an impression of Stan Laurel. By 1971, I was doing James Cagney in Vegas, and I asked my mom, 'Who would you like me to impersonate?' and she said, 'Paul Newman'-because she had a poster of him hanging in our kitchen-before adding, 'How about Frank Sinatra?' It was then that I found a recording of 'You Make Me Feel So Young' which I put on my Panasonic reel-to-reel tape player and started studying the timbre and tonality of his voice." Obviously, the rest is history and, as he opens Act II of his show, Michel relays some history about his next number stating, "This one was written by Cy Coleman," who first performed this composition on late-night television exclaiming, "I hope Frank Sinatra records this song!" Here, he delivers a lively version of "The Best Is Yet to Come." Michel follows that up by inviting his friend and co-worker in the audience-entertainer Bryan Clark(who plays Sammy Davis Jr. in Michel's Production "Drinkin' - Singin' - Swingin'" Salute to Frank Sinatra - Sammy Davis Jr. - Dean Martin to "come up and sing with this string section!" "Pray for me!" jokes Clark before presenting a polished rendition of "The Way You Look Tonight." 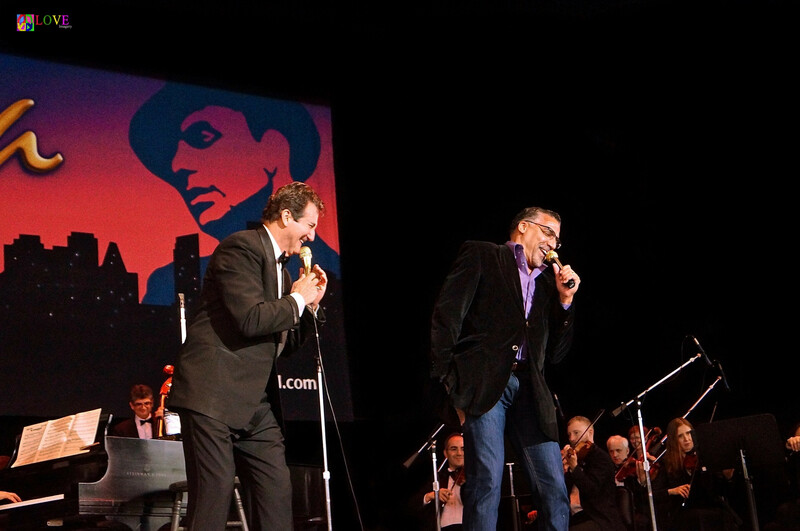 Then, the two performers bring down the house together with a spontaneous version of "The Summer Wind" in which they trade off doing hilarious impersonations of entertainers as Dean Martin, Elvis Presley, Neil Diamond, Sammy Davis Jr., Tony Bennett, Louis Armstrong, Stevie Wonder, Tom Jones, and Ray Charles. The crowd responds with a hearty standing ovation! Announcing, "When you put Cole Porter, Nelson Riddle, and Frank Sinatra together," Michel suggests, "what you get is one of the all-time great Sinatra hits, 'I've Got You Under My Skin'"-a number which has the audience clapping and tapping along to the music which features a brassy trombone solo. Ending the lyric with "I love you New Jersey," Michel performs a song on which, he says, "Sinatra changed the original title-'In Other Words'-by deciding to call it by the first five words-'Fly Me to the Moon'"-a number which features a pair of flutes in the orchestra. "Sinatra only did one album with a symphony orchestra," reveals Michel, before explaining, "I picked this song because it features the string section." Here, he performs a highlight number of the afternoon-a stirring rendition of "I Have Dreamed" from "The King and I" which features a lovely accompaniment played by the orchestra's string section. The audience cheers as Michel states "Give it up for the string section!" Then, after acknowledging, "I just told a reporter backstage this story," Michel relates how his mom gave him the initial suggestion to perform Sinatra's music saying, "I always dedicate this next song to my mother." Here, he performs another highlight of the afternoon's concert with an electrifying rendition of "You Make Me Feel So Young," beautifully accompanied by his entire 24-piece orchestra. After exclaiming to his musicians, "Guys! Gals! I love you! I wish I could bring you back home with me!" Michel and the instrumentalists perform a compelling version of "Strangers in the Night." Following huge applause, Michel states, "I wrote this next song because I wanted to reminisce about my friends." Singing with pure emotion, he performs his original composition, "Witness to My Journey"-a sort of companion piece to "My Way"-where he relays in song how only true friends are those who are there with us to witness life's "smiles" and "tears." Several in the crowd can been seen shedding tears during this poignant performance which Michel follows up by saying, "This next song is a tribute to all of those who played behind Frank Sinatra." Raising a toast "To all of the musicians!" he sings Sinatra's tune, "Here's to the Band," crooning, "I wouldn't have made it without them" to avid audience applause. "I give you the PNC Philharmonic Orchestra!" quips Michel, before asking, "Is this a band? 24 musicians!" The audience stands and applauds as he and the instrumentalists perform what Michel refers to as "Sinatra's anthem"-"My Way." As the crowd sings and sways, Michel gives it his all-his way-and is ultimately rewarded with a standing ovation, after which he inquires, "What song did I forget?" 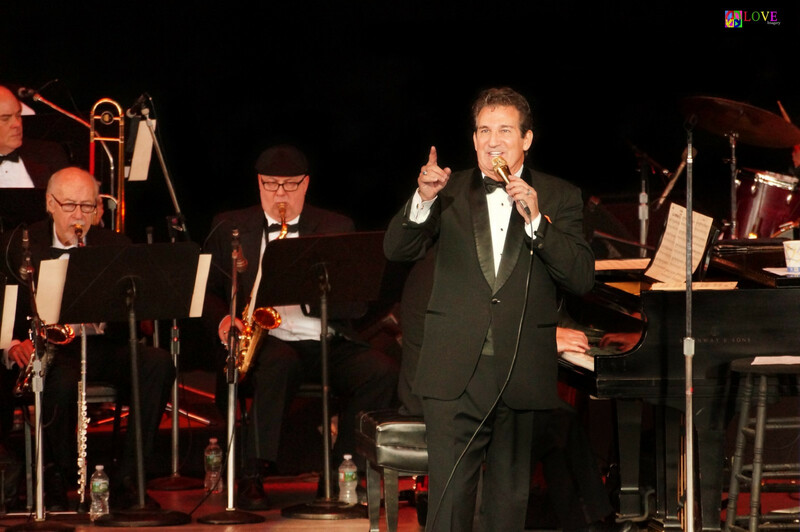 When members of the crowd respond with "New York, New York," Michel launches into that Sinatra classic while audience members sing and dance at their seats! "God bless you!" exclaims Michel, "Goodnight!" As audience members make their way out of the PNC Bank Arts Center amphitheater, we chat with several in attendance who share their opinions about today's performance. Says Sharon from Marlboro, "We had a blast! It was fantastic! Awesome! Wonderful!" Sharon's friend, Judy from Mullica Hill, chimes in joking, "Well, just a little," before stating, "No, it was fantastic-so entertaining, and featuring a great singer and a great band!" Sharon's and Judy's friend, Patty from Marlboro, explains, "We've all been friends for 40 years," commenting, "It was an amazing performance by Rick Michel, and his band was awesome," before adding, "And his original song "Witness to My Journey" was extremely moving-it was a tribute to friendship that, frankly, brought tears to my eyes." We also chat with Milo from East Brunswick who remarks, "I liked the whole team-the singer and the orchestra-from beginning to end," noting, "and it's great to see that my donation worked!" Next, we run into John and Lisa -a couple from Waretown. Says Lisa, "Rick Michel sounds just like Frank Sinatra!" 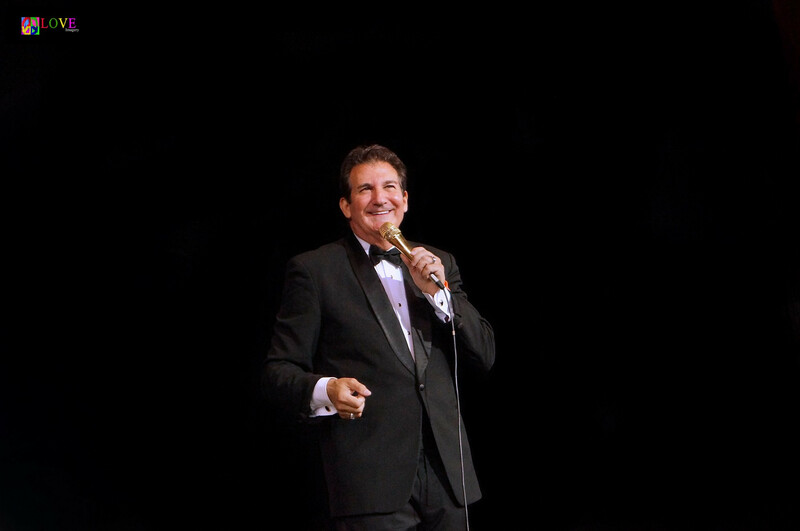 Her husband, John, agrees adding, "I saw Frank Sinatra 40 years ago both in New York City and in New Jersey and I loved this show-Rick Michel is the best I've ever seen doing a Sinatra tribute." Kathy from Wycoff exclaims, "This show was phenomenal-I can't believe how fast it moved! Rick Michel's voice sounded just like Frank Sinatra's and the songs he picked were great, leaving me with a lot of nice memories." Kathy's friend, Bianca from Wayne, concurs adding, "Rick Michel is amazing! He's fantastic! His singing voice-and his speaking voice-sound just like Frank Sinatra's!" Lastly, we chat with Kathy and Bianca's friend, Nancy from Woodland Park, who concludes, "Rick Michel was fantastic, and the show was great. Despite the rain, they made it a wonderful day for all of us!" 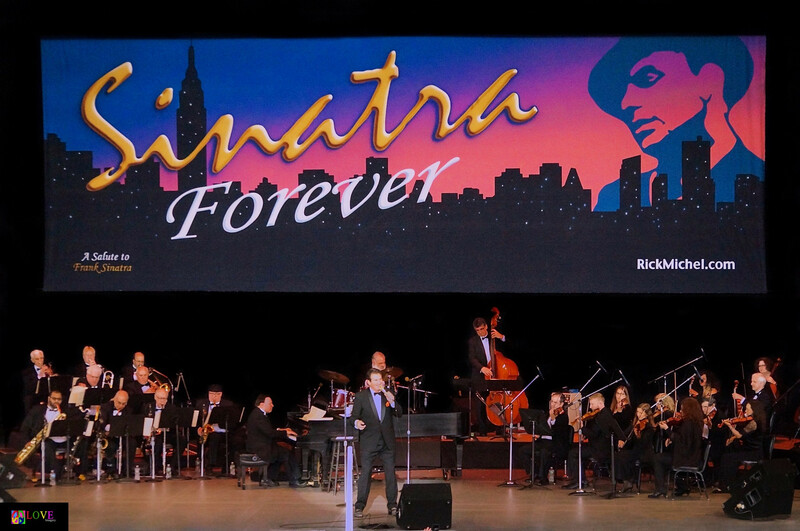 "Sinatra Forever" is scalable to accommodate venues of different sizes and capabilities. The show is orchestrated for both full symphony orchestra and big band with synthesizer.